The faux-conservative late-night host celebrated the Romney campaign's political victory. Colbert danced to a "fat beat" on Thursday's edition of "The Colbert Report." Earlier this week, Mitt Romney argued that the Obama administration — not GOP lawmakers — have waged the real "War on Women" with "failed" economic policies. ("That's called flipping the script," according to Stephen Colbert). Democratic political strategist Hilary Rosen, in response to the Romney campaign's spin, knocked Ann Romney for having "never worked a day in her life." Rosen's words quickly circulated around the Beltway — and in the eyes of many in the political commentariat, Rosen's attack on the presumptive GOP nominee's wife helps Romney's "War on Women" talking-point. For the faux-conservative ringleader Colbert, the Romney/Rosen fiasco is cause for celebration. "This is good! This is good! 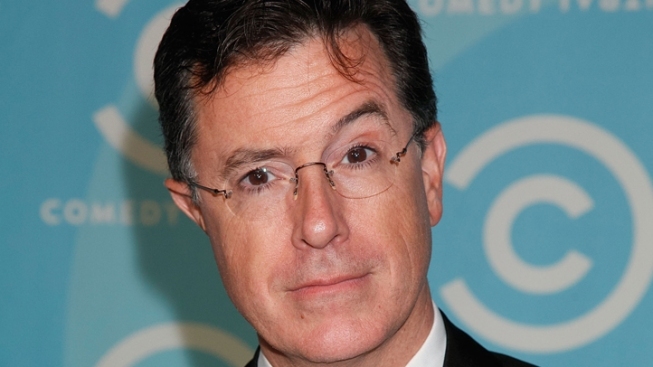 This story is delicious," Colbert said. Colbert played audio of Rosen's ill-fated remarks "on loop" and asked his perpetually-offscreen tech-guy "Jimmy" to "drop a fat beat on it" — resulting in an club-remix version of the political gaffe heard 'round the world.